Pioneers in the industry, we offer electronic hanging scale from India. 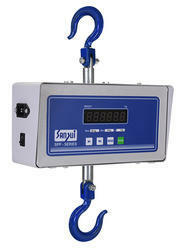 Electronic Hanging Scale upto 300 Kg capacity. Looking for Hanging Scale ?